Dooley's Pub has been the place to go for a traditional Irish pub experience since doors opened in 2005. Whether you're looking for a hearty Irish stew made with Guinness gravy, or cold glass of Finnegan's Irish Amber, you're sure to find what you're looking for here. The pub itself has been an icon on Water St. since taking the place of the Camaraderie in 2005. 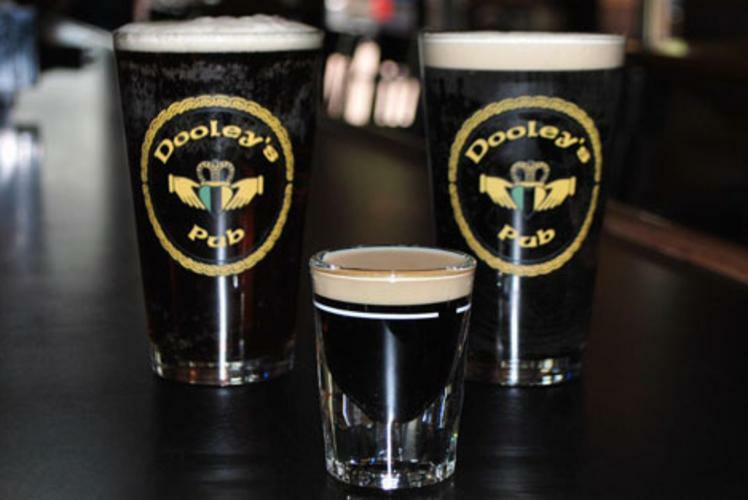 Boasting a fantastic family-oriented dining experience as well as a popular late-night destination for more traditional Irish rowdiness, Dooley's has proven to be the place to go for just about everyone. Stop in and watch any sports game on one of their many channels or even check out their expansive Irish Whiskey collection. They hope that you will stop by and give them a chance to be your restaurant/pub of choice. They'd like to thank you in advance for giving them the opportunity.